Bright yellow blooms complimented with touches of white, orange, and of course lush foliage. 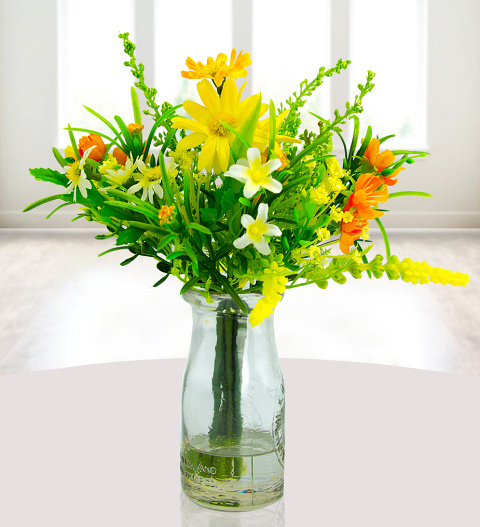 This lovely bunch of artificial flowers will make any room warm and inviting. The best part of all is that these flowers do not need watering and they will last much longer than a fresh bunch. A wonderful gift for birthdays, congratulations, and any other occasion!